Towards the end of the SCPH-10x PSone production Sony revised the board slightly and released the PM-41 (2) board. 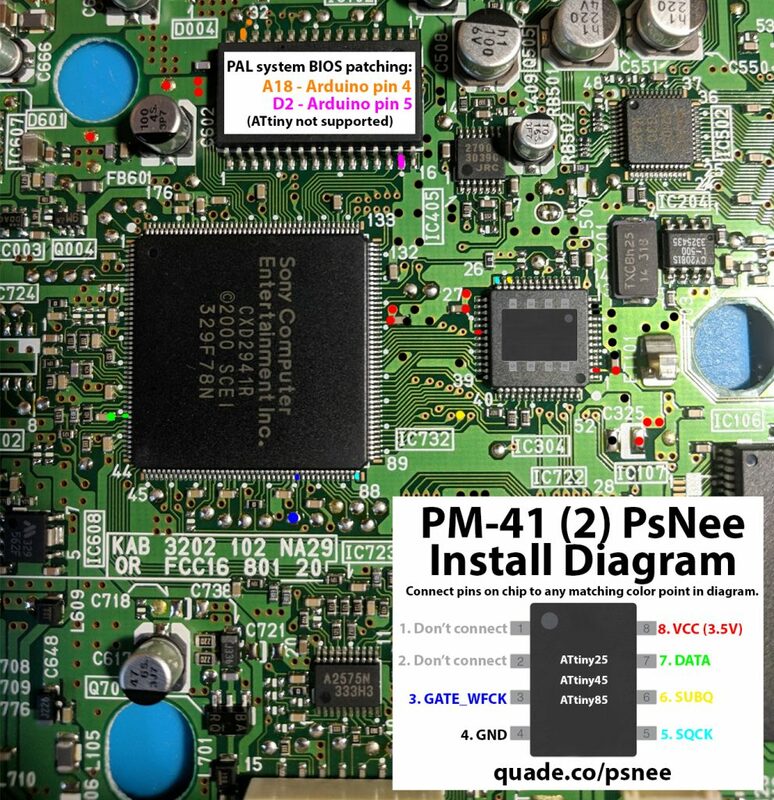 This page covers the installation diagram for installing a PsNee chip into the PM-41 (2). There may also be easier to solder to points for SQCT and SUBQ. Be super careful when soldering SQCT and SUBQ. It’s easy to bridge pins if you aren’t careful. Be careful with the DATA connection, it’s easy to accidentally knock the capacitor off the board. Just match the Arduino pinout list (above the diagram) with the ATtiny diagram. 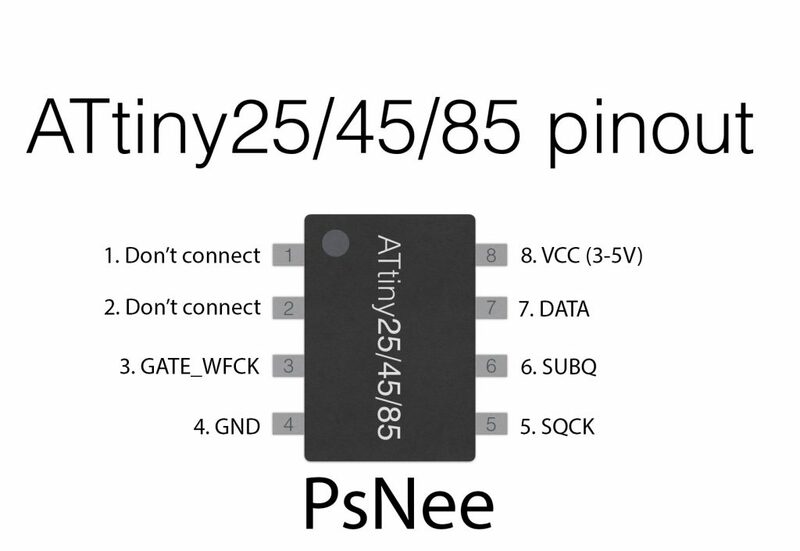 For example SQCK is pin 6 on the Arduino, and pin 5 on the ATtiny diagram. Debug TX, BIOS A18, and BIOS D2 aren’t necessary unless you have a PAL system. Thanks! I will do that. Also… how do I know the region of my PSOne? I have some serious doubt if its truly NTSC. It says in the mobo SC430949PB. Thanks again. The easiest way to find out would be to try booting a retail NTSC game without a chip installed. If it boots then it’s an NTSC console, if it doesn’t then it’s a PAL console. I don’t think the boards have any obvious region identifying info printed on them. Thanks for you answer! I will do that. Also… I have a doubt about if my PSOne is truly NTSC. My mobo (PM41) says SC430949PB.